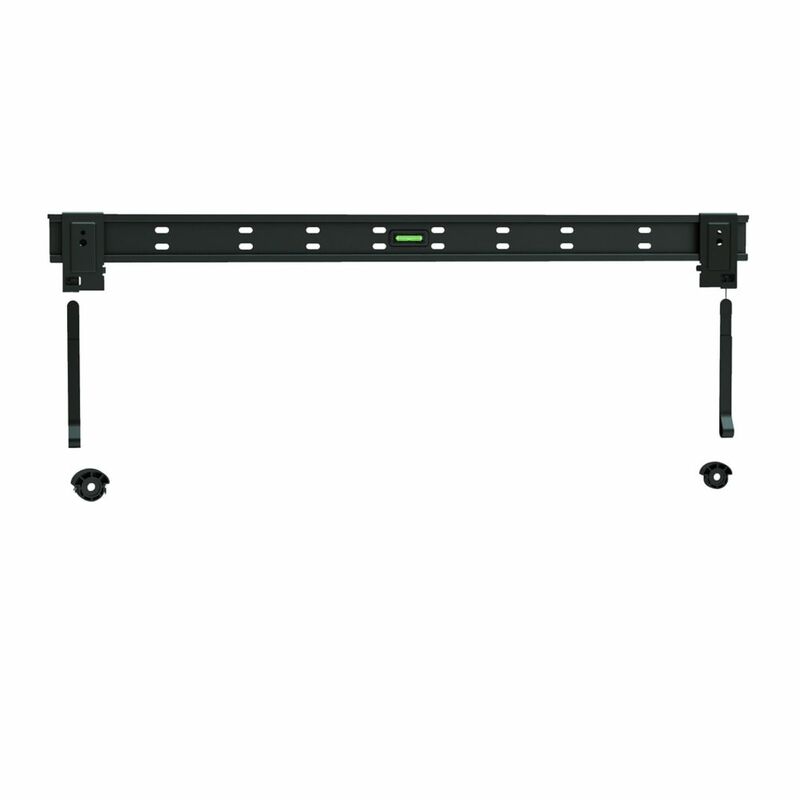 TygerClaw LCD3412BLK give your TV the perfect spot in the wall with this Fixed Wall Mount. This mount is constructed with cold steel material to maximize the durability and support. This mount was built to give options for TV from 37 in. to 70 in. with weighing up to 110 lb. and also an innovative locking mechanism gives quick and easy installation. This mount is the best solution for mounting TV on the wall without any hesitation. Holds most 37 in. to 70 in. flat panel TV up to 110 lb. This mount fits most of 26-90 TVs sold today.Tilt function: 00/-150 Tilt for maximum viewing flexibility. Heavy duty steel construction, 132 LBS loading capacity Constructed with heavy duty steel materials with durable powder coated finish. This mount is 100% welded by automatic robot. This advanced welding technology makes the mount sturdy, and ensures mounted TV stable and secure, supporting TV weight up to 132 LBS. Including all necessray mounting hardwares. Fixed Wall Mount for 37 inch to 70 inch Flat Panel TV (LCD3412BLK) TygerClaw LCD3412BLK give your TV the perfect spot in the wall with this Fixed Wall Mount. This mount is constructed with cold steel material to maximize the durability and support. This mount was built to give options for TV from 37 in. to 70 in. with weighing up to 110 lb. and also an innovative locking mechanism gives quick and easy installation. This mount is the best solution for mounting TV on the wall without any hesitation.